William Norman was born at Hamilton in 1897, the eldest son and second eldest child of Henry John Norman and Margaret Pearson. Henry was a plumber and the family lived in French Street with William attending Hamilton State School. By the time William was thirteen, there were eight children in the Norman family. William went to live in with his uncle and aunt in Warracknabeal, Ernest and Catherine Westgarth. Ernest was a grocer in the town. While living in Warracknabeal, William worked for baker Mr Townsend and was a member of the local Harriers and successfully competed in long distance races. He was also involved in senior cadets. 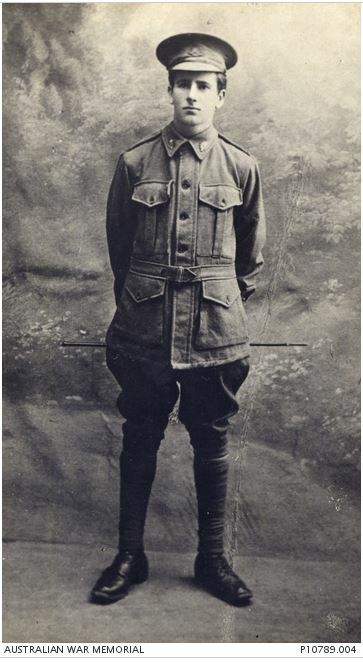 His area officer considered him a “conscientious and ambitious lad, possessed of considerable ability.” So ambitious was William, he enlisted on 23 March 1915, two days before his eighteenth birthday, and he left for Broadmeadows. At the time of William’s enlistment Henry and Margaret Norman were living at 163 Lonsdale Street and had a further two children, twin boys born in 1913 and another set of twin boys would follow during 1915. The Hamilton Spectator of 29 March 1915 reported on the news of William’s enlistment, possibly making him the youngest former Hamilton State School student to enlist. The Spec believed William was acting as a Colonel’s orderly. 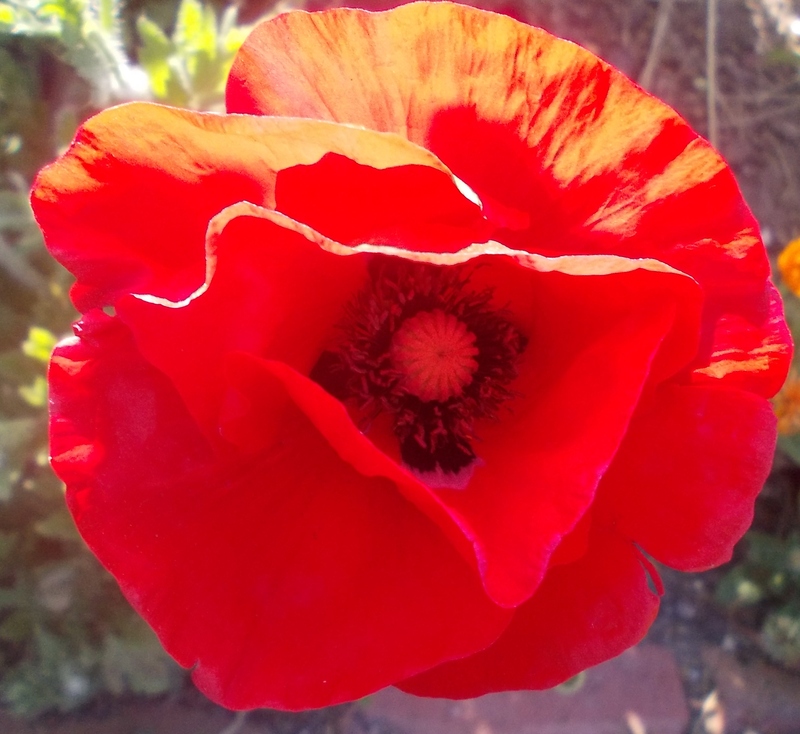 William left Australia on 16 July 1915 and by 20 August 1915 was at Gallipoli aged only eighteen years and five months. 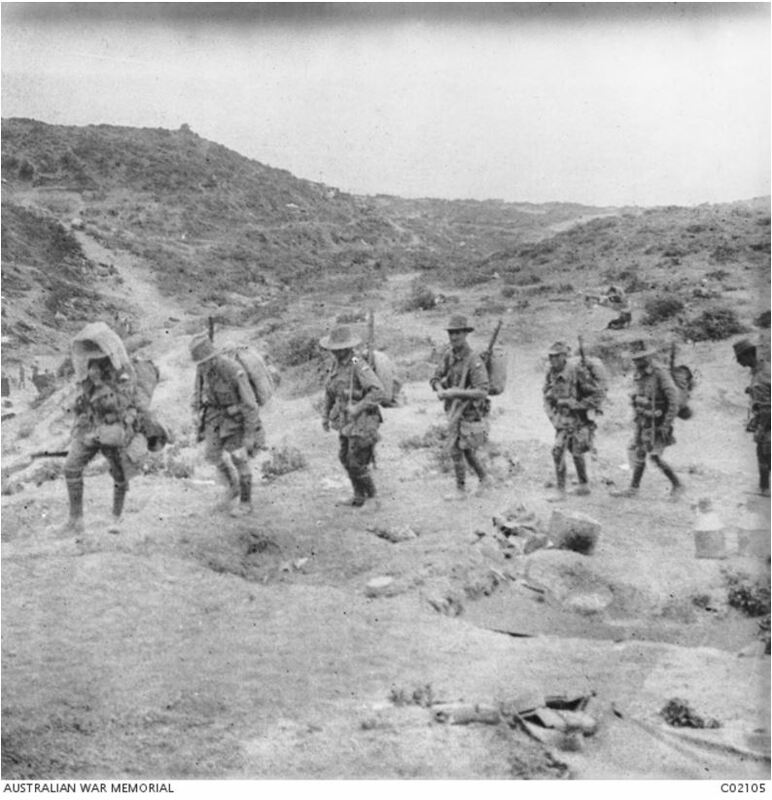 The 24th Battalion spent ten weeks in the trenches at Lone Pine but on 18 October William was admitted to hospital with a septic hand and transferred to Malta. He rejoined the unit in Tel-El-Kebir, Egypt in January 1916. Before long, the 24th were preparing to leave for the Western Front. William arrived at Marseilles, France on 28 March, three days after his nineteenth birthday. The 24th Battalion was involved in the Battle of Pozieres in late July and Mouquet Farm in August with William promoted to Lance Corporal on 17 August 1916. On 20 February 1917, the Warracknabeal Herald, reported local thirteen-year-old Daisy Burke, who had sent gifts to soldiers, had received a letter from William Norman. Daisy was delighted to receive the letter with the tales of William’s adventures exciting reading for a girl from the Wimmera. William told Daisy of the countries he had travelled to, Egypt, Gallipoli, Malta, France and Belgium and was looking forward to a visit to England in the near future. He said, he had “visited no country that he likes so well as Australia, and if he is spared to see the end of the war he says he will be quite satisfied to return to Victoria” He told Daisy of the difficulties brought about by the weather with severe frost and snow and mud in the trenches in France which was worse, he said, than the mud in winter in Warracknabeal. For his twentieth birthday on 25 March 29, 1917, William got a septic thumb and was admitted to the Casualty Clearance Station. He was in hospital in Rouen by the end of the month. He rejoined the unit on 5 May, then at Noreuil. The battalion had a few relatively quiet months and during that time, on 5 August 1917, William received a promotion to Temporary Corporal. On 8 October 1917, William was sitting in a shell hole near Broodseinde Ridge talking to two other men. 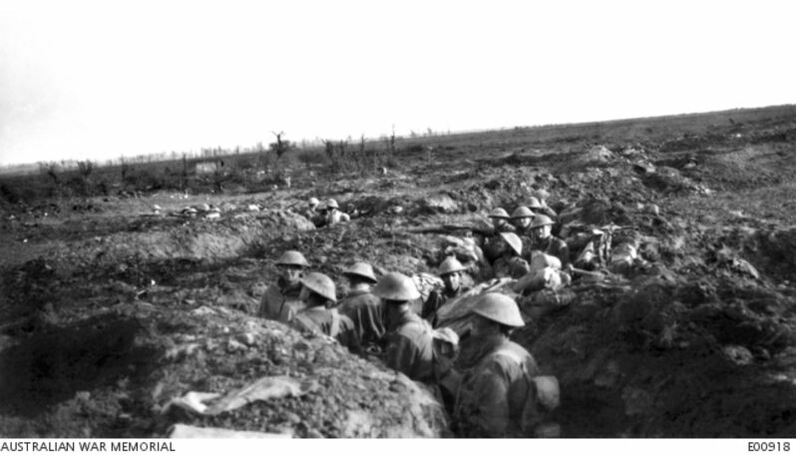 It had been an exhausting few days with the 24th Battalion part of the capture of Broodseinde Ridge on 4 October. As they talked, a shell exploded in the hole killing the trio instantly. Twenty-year-old William was buried on the right side of the peak at Broodseinde Ridge, never to travel to England and never to return to Victoria. 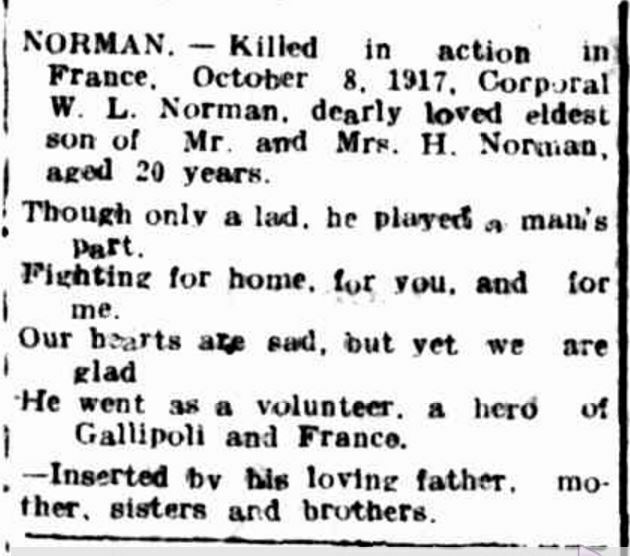 The Hamilton Spectator of 17 November 1917 reported the sad news of Hamilton’s young son, “Corporal Norman, though young in years, was a veteran in tenure of service.” William had served for a total of two years and seven months and spent his nineteenth and twentieth birthday overseas. Henry and Margaret Norman and William’s eleven siblings, some so young they didn’t know their brave brother, must have felt such grief. “Advertising.” Hamilton Spectator (Vic. : 1870 – 1873; 1914 – 1918) 6 Dec 1917: <http://nla.gov.au/nla.news-article119860174&gt;. William is remembered on the Warracknabeal and Hamilton War Memorials, the Hamilton State School Honour tablet and a tree was planted for him along Hamilton’s Anzac Avenue. And on Gallipoli took his stand. In the Battle of Passchendaele. —Inserted by his sorrowing mother, father, sisters and brothers.